Welcome to all students. I have created this site for you. It is primarily a revision resource for the courses that I teach so virtually everything on here you need to know. There are some ‘extras’ to extend your knowledge further than the syllabus but they will be clearly labelled. IB Biology – After a lot of work, the IB Biology content has been updated to the new syllabus (first exams May 2016). Topics 6, 11 and some of the options still require updated presentations etc, which I will add as the year progresses. For each topic there is a powerpoint of the IB assessment statements and for every sub-topic there will be a presentation, YouTube clips and tutorials (lessons/podcasts that are particularly good at explaining parts of the syllabus), as well as links to other sites and the odd song. 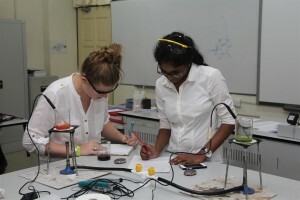 IGCSE Sciences – Biology – this covers the Biology part of the Coordinated Sciences (Double Award) IGCSE from CIE – not IGCSE Biology. Each topic has a powerpoint of the relevant syllabus statements, revision notes (downloadable in word format) as well as links to other sites, relevant YouTube clips and sometimes a tutorial or even a song. 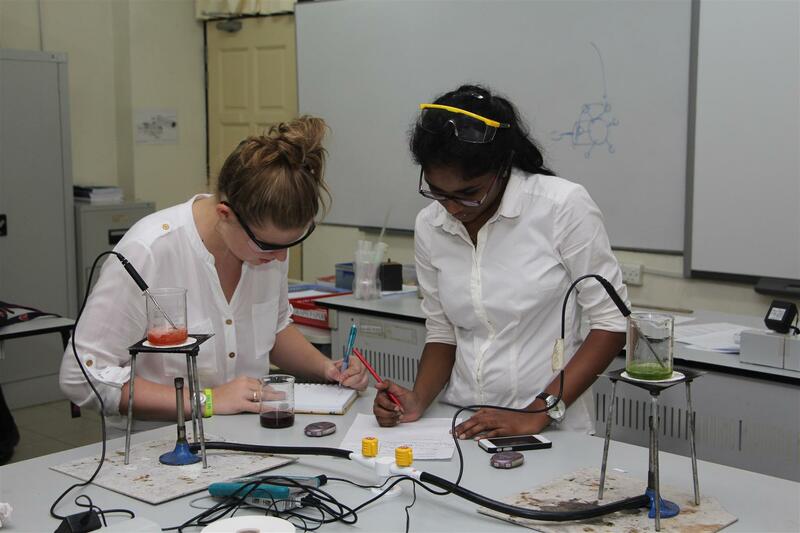 IGCSE Sciences – Chemistry – this covers the Chemistry part of the Coordinated Sciences (Double Award) IGCSE from CIE – not IGCSE Chemistry. Each topic has a powerpoint of the relevant syllabus statements as well as links to other sites, relevant YouTube clips and sometimes a tutorial or even a song. IGCSE Sciences – Physics – this covers the Physics part of the Coordinated Sciences (Double Award) IGCSE from CIE – not IGCSE Physics. I don’t teach Physics so there is less here than in the Biology or Chemistry section but each topic has a powerpoint of the relevant syllabus statements as well as relevant YouTube clips. The ‘Physics revision & links’ section has links to some fantastic revision sites. KS3 Science (year 7, 8 & 9) – the Key Stage 3 (Year 7-9) Science programme is based on the English & Welsh KS3 National Curriculum. The blog covers every topic we teach with a very specific powerpoint and other useful resources (as I find them). Please let me know what you think – what’s good, what could be better and any other suggestions. To other teachers – thank you! Most of the resources on this blog I have taken from other sites – very little has been created from scratch by me – so I thank you all. I have tried to acknowledge where resources have come from but please let me know if I have not or if you are unhappy with my use of your resource – I am happy to remove any thing that you feel should not be here. But please do feel free to take anything that I have created. This website is great. I found it linked on this revision website: piridongo.wordpress.com which is also full of revision resources. I’m a student at an international school in Shanghai and find this website to be extraordinarily helpful in my IGCSE studies. The Biology revision notes are fantastic, however it would be great if there were revision notes for Physics and Chemistry too. Thank you so much for putting this site together, it’s one of the best resources for secondary students. Hi, I am also a student at an international school in Madrid and I wanted to say that the biology revision notes for coordinated science are absolutely incredible. However, physics and chemistry are the two sciences that I most struggle with and as there are biology notes I thought all the students would appreciate if there were also physics and chemistry notes. My exams are in may and I really found this website useful; I hope that you take into consideration also doing note for the other sciences. Thank you. The notes are proving very popular and were actually written by a colleague of mine. I’m afraid I have no plans to write them for Chemistry or Physics as I no longer teach IGCSE. Good luck in May! Thank you Leone. It is lovely to get these kinds of comments. Good luck in your exams. I’ve found this website extremely useful for revision, thank you very much for creating it. I’m doing my IGCSE Coordinated Science Exam in two weeks and I’ve been struggling to find resources that fit this syllabus rather than the ones for the separate sciences. Is this all updated for the 2016 syllabus? As I know there have been a couple of minor changes. It has been updated for the 2016 Cambridge (CIE) syllabus. Good luck for Wednesday 25th! Thank you for this information it was great to read and learn about. Finally thank you so much! Hello Mr Cartlidge, I’m currently a student at St Joseph’s Institution International Singapore, and I’m studying for my mock exams over the summer break, and I came across your website just yesterday. I am so grateful and lucky to have found your website as my other revision guide website went down. I thank you with all my heart for being my saviour, and I hope with your revision notes, I would be able to ace the Co-Science Paper! Thank You for letting us download all the revision notes and lastly thank you for all your effort for creating this website for students all over the world! And thank you for your kind words and for taking the trouble to comment, it is always lovely to hear from students who use my site. Bets of luck in your exams. Hey there! I just wanted to say that this blog really helped me out and I just want to say thank you! Because it really helped especially since i am an GCSE student, your sources are great and the material is amazing! Just wondering if its okay if I refer this blog to some of my friends to help them out as well 😀 thank you very much! You are very welcome, Tejas. Please do share. Sir, do u mind sending me physics and biology coordinated sciences notes to me im having trouble going 1 by 1 so i can easily print it out if u send me by stack thankkkk youuuuu!!!!!!!! Apologies but I get too many requests to email notes out. You will have to download them but there are only 11 sets. I want to thank you so much for your great resources. This is my third year using it and my students are delighted. Awesome material! Thank you so much Elisabeth, it is lovely to receive positive feedback! Hi! I’ve been using your Coordinated Science Biology PDF notes and it’s excellent! I’ve been improving a lot and it makes me feel really good since science is my weakest subject. Thanks to you, I feel blessed for having your notes! Thank you! We’re currently covering Physics now and Chemistry after, would you mind sending me the link to the PDF notes for both the subjects? Unfortunately there are no revision notes for Chemistry or Physics. You could try Accelerated Study Notes. I am an avid reader of your site mrcartlidge.edublogs.org and I found it very useful. Recently I’ve started a related topic project of mine at biologydictionary.net, which aims to provide useful explanations and examples of biology terms. If you like my site, I am wondering if it is possible for you to add a sidebar link to my site. I truly hope my site can help more students and teachers on their biology study and research. What a great site! Link is added. I’m a personal tutor that uses your links area on the right surprisingly often! Anyway, I’ve noticed that your SATS Papers link is now dead? Could I suggest that you instead link to sats-papers.co.uk, it seems to have everything the old site had and is a lot easier to use. I am afraid not, as I no longer teach Coordinated Sciences but thank you. Good luck! I’d just like to firstly say that your blog is excellent and has everything someone would need to absolutely ace Biology! Your students are very fortunate to have you as their teacher and everyone on this site is super grateful that you took out your time to share your material with everyone- its all extremely helpful. Secondly, I’m a student from India and I was studying in my central system (CBSE) till tenth grade but am shifting to an IB board for my 11th and 12th (Year 12 and 13) and I find that our syllabi are slightly different so am attempting to go through the IGCSE Core Biology syllabus to standardise my knowledge so I’m not at a disadvantage. However, I have a month or so to do so and was actually curious as to which parts of the IGCSE syllabus should I be particularly thorough with so as not to experience any trouble with the IB syllabus. I’d really appreciate your inputs, being an IB teacher with an idea of all this. Thank you for your kind words and apologies for taking so long to reply. For IB Biology, you should make sure that you understand and recall all the key terms from IGCSE Biology as you will need to learn a whole load more for IB. If you want to go further, I would concentrate on the physiology units (topics 6-14 for IGCSE Biology) as physiology is big part of IB Biology. The revision notes are really great and useful. Do you have any Revision PDF left for Chemistry and Phsysiks like you had in Biology?…like the B 1 revision notes only for C and P ? Your page is amazing it really helps me with my IGCSE revision!!! Thank you so much! Hi there, I found your Biology IGCSE notes extremely helpful. If possible, can you also make Revision notes for HL biology (like the downloadable word document revision notes in IGCSE biology). I find those much more useful than the powerpoints. Thanks ! This is a very Useful Blog for the Student, I am so grateful and happy to have found your website as Student revision guide website went down. I thank you with all my heart for being my savior. I read your blog. It is acctually great. I love it and it is also very useful for everyone. Thankuou so much and keep blogging up. I read your blog. Acctually it is very nice. I love it and please keep blogging up. I will – thank you! Hope you are doing well. Please, my name is Frank teaching myp grade 6 and 7 science at Lincoln community school. I will be teaching IGCSE year 10 and 11 key stage year 7,8, and 9 next school year. please, can I use materials from your blog and do you have any material I can use. Use whatever you want from the Blog. It is slightly dated now as the topic titles have changed but it is there to be used by students and staff. Are you producing notes for the updated 0654 syllabus (2019-2021 exam)? This is a wonderful resource for science students. I’ll be sure to pass this on to my science teacher friends. I just came across you this morning – as I googled ‘revision sheet for KS3 Respiration’ and now I’ve been glued to your resources for science! Amazing! I’m home educating a year 6 – more like year 7 though and really needed/need some support in terms of materials. Your extensive collection covers everything! Thank you! You are very welcome, Sam. Good luck with the home schooling.